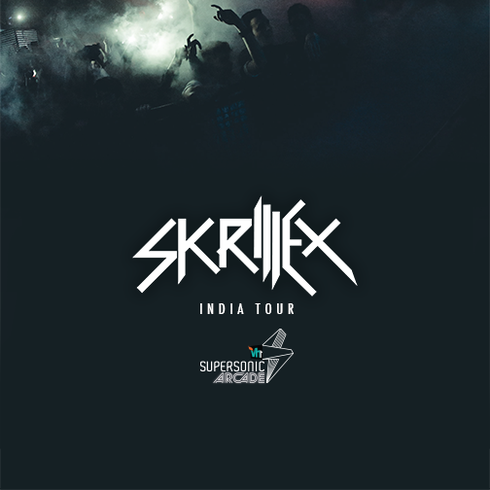 Six time Grammy award winning electronic music artist Skrillex recently announced his first ever tour of India, where he will play Bengaluru, Hyderabad, Mumbai, and Delhi from 8 October to 11 October 2015. While India has seen some of the biggest artists in the world of dance music tour the country in the past few years, Skrillex is one of the few who has still to head to the subcontinent for a tour. Now he appears courtesy of Vh1 Supersonic, an example of India’s ever-changing dance music industry. Sonny John Moore, better known by his stage name Skrillex has worked with the music industry’s biggest names like Lady Gaga, Snoop Dogg, Deadmau5, Chemical Brothers and most recently, Diplo, to form the group Jack Ü. On November 30, 2011, he was nominated for a total of five Grammy Awards at the 54th Grammy Awards, including Best New Artist and won three: "Best Dance/Electronica Album", "Best Dance Recording", and "Best Remixed Recording, Non-Classical". Later that year, he was also named MTV's Electronic Dance Music Artist of the Year. Skrillex has won a total of six Grammy Awards. After making a mark last year with The Chainsmokers, Major Lazer, Steve Aoki, and Pretty Lights, Vh1 Supersonic Arcades return with over 100 gigs and concerts in the form of Vh1 Supersonic Arcade, Vh1 Supersonic Club Nights and Vh1 Supersonic Campus 101, all leading up to the main event in Goa.